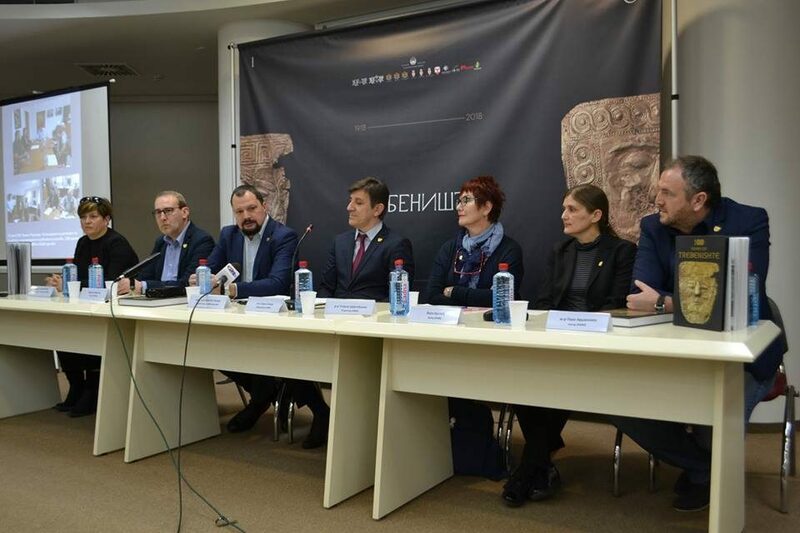 A museum exhibition of the four golden masks of Trebeniste, unearthed in 1918 and then split between Serbia and Bulgaria, is planned later this year. The masks would be reunited with the fifth one, found by archaeologist Pasko Kuzman in 2011. The golden funeral masks used by nobles date back to the 6th century B.C. The first two were discovered in the village of Trebeniste, near Ohrid, by Bulgarian soldiers who were digging trenches during the First World War, along with numerous other priceless artifacts. Serbian authorities excavated further in 1932 and found additional treasures they took to Belgrade. Ultimately, at a different site near the main fortified gate of the city of Ohrid, Macedonian archaeologists found the fifth mask. According to the plan, the joint exhibition of the masks would honor the 100th anniversary of the first discovery. They would be displayed in Skopje, and then taken to Sofia and Belgrade. Museums in Paris, Beriln, Vienna and Zagreb also expressed interest in the masks.